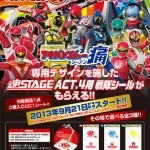 Hikonin Sentai Akibaranger Season 3 for 2015? 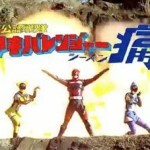 Credit to the fine folks at Rangercrew for pointing us to the original J-hero post about this. Pre orders have now begun for the Tamashi ExclusiveS.H.Figuarts Cho Akibared Super! An official gallery has now gone live, and while this maybe the same mould as the mass retail release Cho Akiba Red, the figure has been done up in a shiny gold paint. Cho Akibared Super is currently slated for release in October, retailing for 3675 yen. SH Figuarts Chou AkibaRed Super Revealed! Chou Akibared Super is a Web Exclusive costing 3675 Yen. S.H. 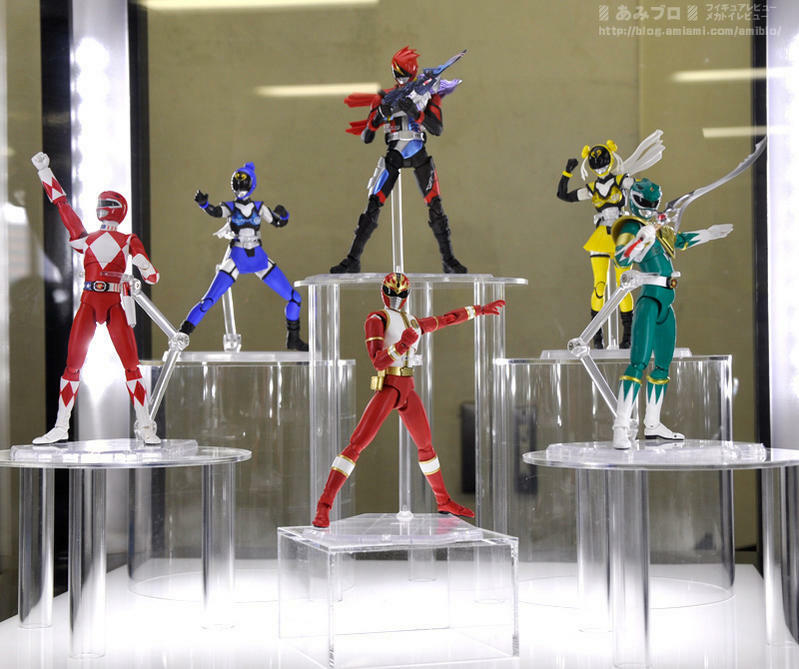 Figuarts Akibaranger S2 Inordinate Powers and then some! If you’ve been keeping up with Hikonin Sentai Akibaranger Season 2 then you know this wacky awesome series brings the same level of greatness that the first season did. Including the Inordinate Powers of the official heroes! Well on display right now at the Akihabara show room are the S.H. 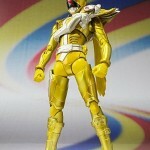 Figuarts releases for Season 2’s powers! The Dairen Bomber & Zyuranger Buckler will both come with the Season 2 release of Akiba Blue while the Hurricane Ball will come with Yellow. Apparently no Inordinate power comes with Red as of this writing. Though it features just a single image of Kibaranger, the page shows the accessories Ryuranger will come with (including an alternate China Red helmet) and a release date of August. He will be priced 3675 yen. 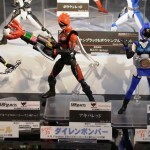 The AmiAmi blog has given us a closer look at the upcoming SH Figuarts revealed by the new episode of Akibaranger! This includes closer looks at DragonRanger, TyrannoRanger, and the Akibaranger remolds along with our first good look at Figuarts RyuRanger. Thanks to the Bandai Tamashii Site for providing us with official images, price, and release info for the Season 2 versions of the S.H.Figuarts Akibarangers! 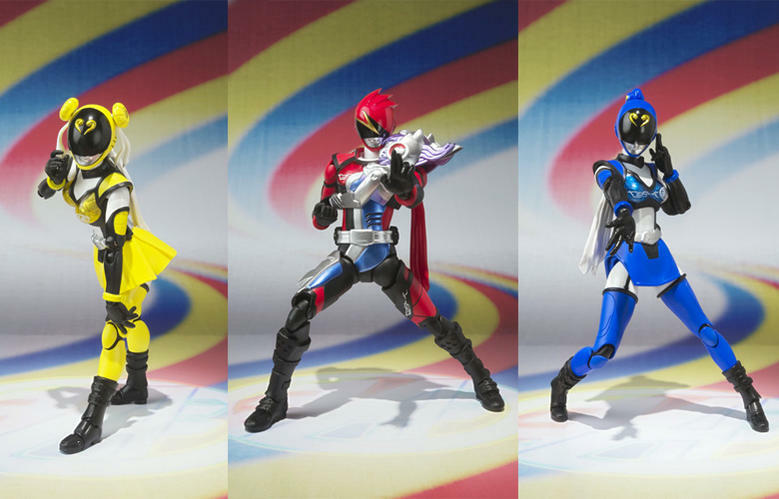 Accompanying this trio of figures is release info for 3 more figures under the Akibaranger banner! 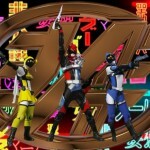 And don’t forget that Hikounin Sentai Akibaranger Season 2 premieres this Saturday 4/6! Be sure to tune into your favorite fansub groups this week and join in on the delusions! Juu Mosou! Akibaranger Season 2 Episode 1 Preview! 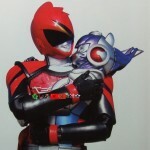 Don’t forget that Season 2 of Akibaranger premiers April 6, that’s next weekend! DecaEnd of HJU just posted the preview for the first episode, titled Delusion War. Check it out in the link below! A new preview for the returning Unofficial Sentai is now streaming online and offers some brief glimpses into these exciting new adventures!